​We call it "The Money Thing": the elusive, often difficult mystery of acquiring, keeping, and continuing to produce enough money to be able to live the life of our choosing. What is required is an understanding of the principles behind the Offense, Defense, and Playing Field of personal finance. With a basic understanding of these three areas, which are rarely taught together as a whole, anyone can learn to prosper, conserve, and multiply the fruits of his or her labor. 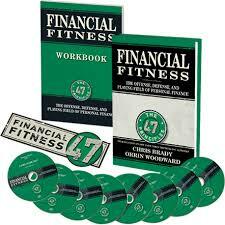 The Financial Fitness Program teaches the principles behind the Offense (making money), Defense (budgeting and discipline), and Playing Field (rules and philosophy of money) of personal finance. With a basic understanding of these three areas, which are rarely taught together as a whole, anyone can learn to prosper, conserve, and multiply the fruits of his or her labor.